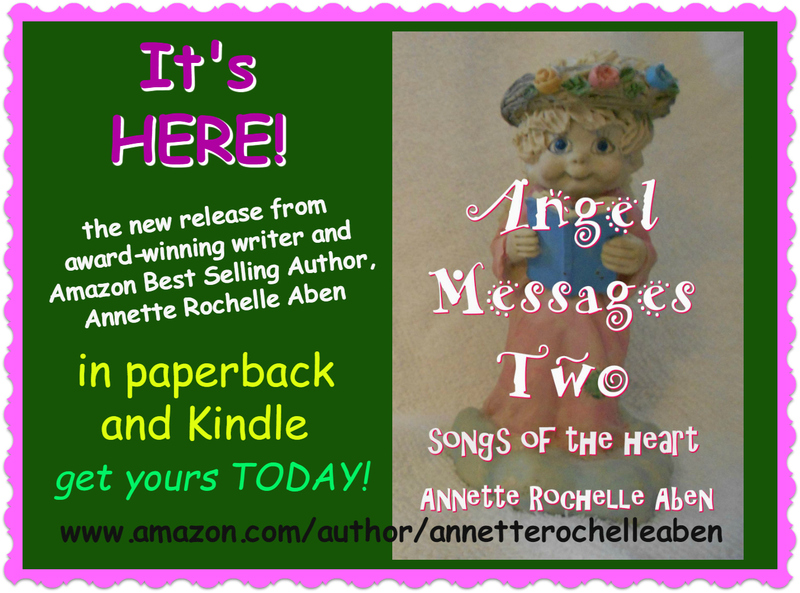 Angel Messages Two has Arrived! This entry was posted in My Books and tagged Angel Messages Two songs of the heart, Angels and Guides, Annette Rochelle Aben Communicates, Christmas gifts, My Books, paperback and Kindle, poems and prayers, spiritual beings. Bookmark the permalink. Yes! Huge congrats, Annette. Hugs on the wing! Congratulations, Annette! Yay, another book sent out into the world.